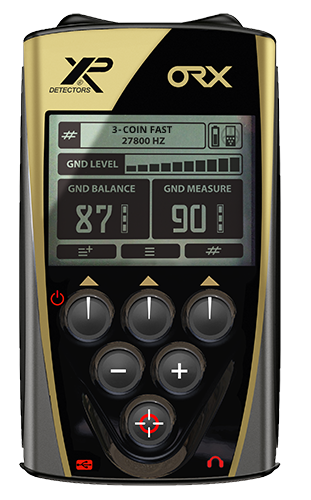 The ORX is innovative in terms of metal detector design as it offers an unique system based on different wireless elements communicating via a digital radio link. All components - Coil, LCD Remote Display, Headphones and the optional MI-6 Pinpointer communicate wirelessly! No more cables to get tangled in or break. #XPORX #XPmetaldetectors http://www.xpmetaldetectors.com/metal-detector/ The ORX is the latest addition from XP metal detectors. It is a very simple to operate machine while still maintaining the XP Deus DNA such as Fast wireless connectivity Choice of detecting programs Compatibility with the MI-6 pin pointer ~ The ORX has the new WSA wireless headphones and the S Lite telescopic stem that folds away into a small rucksack and deploys in seconds. Looking at the new ORX from XP Deus..
XP DEUS ORX DEPTH TEST AND A LOOK AT IT'S FEATURES.